NASHVILLE, Tenn. (Oct. 13, 2015) – The all-new 2016 Nissan TITAN XD full-size pickup has been named “Truck of Texas” by the Texas Auto Writers Association (TAWA) in its annual 2015 Texas Truck Rodeo, which puts the industry’s best truck, SUVs and CUVs through a grueling two-day evaluation at the historic Knibbe Ranch in Spring Branch, Texas. It isn’t in the dealer showrooms yet and I can’t share my driving impressions until November 15th, but the Truck of Texas this year, as voted by the Texas Auto Writers Association, is Nissan’s all-new pickup, the Titan XD Turbodiesel V8 with a 5.0L Cummins engine. 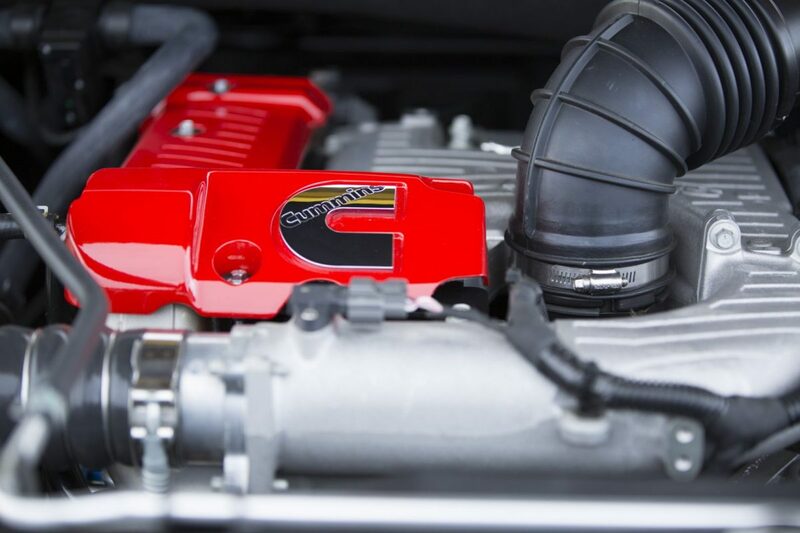 The engine, with 310 hp and 555 lb.-ft. of torque also received the award for best powertrain, and was honored as Off-Road Pickup Truck of Texas (Pro4-X) and Luxury Pickup Truck of Texas(Platinum Reserve). More than just a new model, the 2016 Nissan TITAN XD creates a “new class” of pickup that stakes out a unique position in the segment between traditional heavy-duty and light-duty entries. The bold new design combines the capability of a heavy-duty hauler with the drivability and affordability of a light-duty pickup – and is anchored by a powerful Cummins® 5.0L V8 Turbo Diesel rated at 310 horsepower and a hefty 555 lb-ft of torque. It is mated to a heavy-duty 6-speed Aisin automatic transmission. 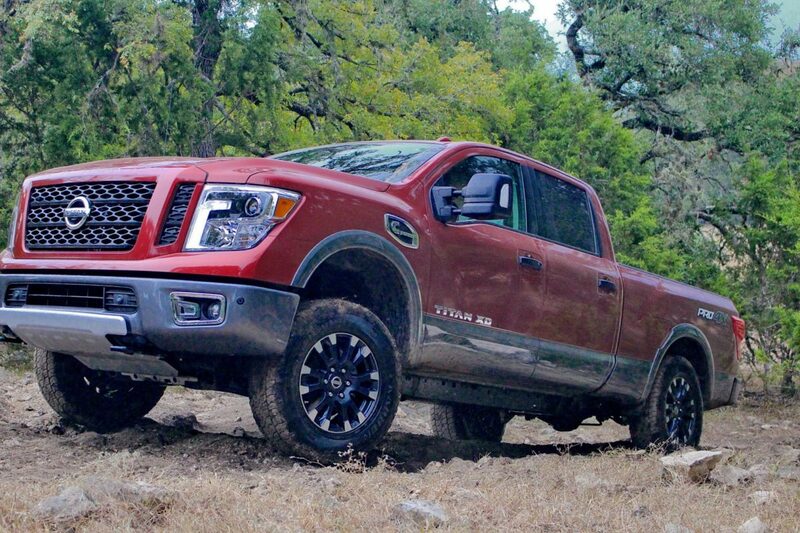 That’s a lot of hardware and a sweet victory for Nissan since they have not had a new pickup in more than a decade, and it clearly represents a serious commitment to the truck market — something that pundits were not so sure about in the past. There are no doubts any more. Robust and bold in its styling, yet far more refined than previous Titans, the Nissan entry is set to compete. This was its first outing (hence the November embargo) and it will spend this week trying to dazzle other journalists who are evaluating trucks, SUVs and Crossovers for the NACTOY (North American Car & Truck of the Year to be awarded at the Detroit Auto Show in January, but not affiliated with that iconic event. Years ago you beat me up for reporting that the Land Rover Evoque won for Truck of the Year in the same category. This competition could be just as weird since the Tesla S and the Evoque convertible are also competing. It seems clear that the vehicle competition should rethink its categories since it is counterproductive to have vehicles like these compete against everything up to and including heavy-duty trucks. The current method benefits no one. 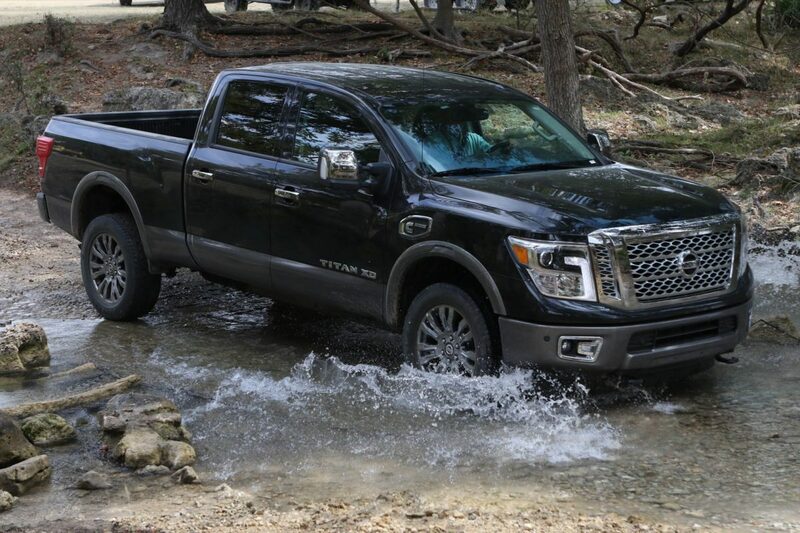 While we hadn’t had a chance to drive the new Titan until the Truck Rodeo, we have been in the loop for a long time and Nissan has made sure that we had something to talk about for more than a year. First unveiled at the outdoor industry’s SHOT Show in Las Vegas with display appearances at auto shows throughout the country, it succeeded in drawing a lot of buzz. But buzz doesn’t sell trucks. We are one of the two most demanding buying audiences in the industry (the other being performance car aficionados) and demand that our vehicles do more than just look good. That said, I can go so far as to say that this truck is a performer on road and off — that’s as far as I can go until the embargo is lifted. I can tell you about the truck content, however. 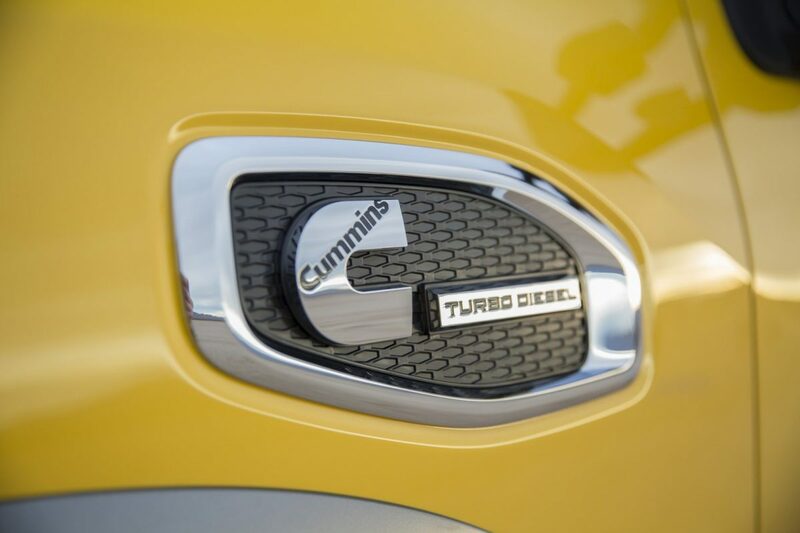 As I said, this vehicle boasts a Cummins 5.0L turbodiesel V8 engine and that, in many ways, speaks for itself. I had a chance during the summer to tour Cummins plant in Indiana, and the passion and enthusiasm that the people who work there have is all about American ingenuity. Later this year I will be touring Nissan’s Mississippi plant where the Titan is built, and, being the factory rat that I am, I expect that there will be lots to talk about. Nissan has designed this truck to straddle the segment between half-ton and heavy duty. It has maximum tow capability of 12,000 lbs. and 2,000 lb. payload (both when properly equipped.) It is large enough to avoid the need to hassle with the EPA over mpg, but we are assured that it is fuel efficient. When I have it for a week, I will report my numbers to you. No pricing has been announced, of course; but if I were a betting woman I would say that $50,000 for a well-equipped version would not be out of line. Other features include integrated trailer brake controller, trailer sway control, tow/haul mode with downhill speed control and a trailer light check system that allows single person hook up including checking turn signals, brake lights and running/clearance lights. Also valuable to those who tow are the rearview monitor with trailer guides, around-view monitor, moving object detection and a choice of two hitches including an integrated gooseneck hitch engineered into the frame. The Titan XD will be available in five grades: S, SV, SL, Platinum Reserve and the PRO-4X which has standard off-road features that helped it to win its off-road honor. There will be three cab configurations, two frame sizes, three powertrain offerings and five grade levels once the trucks beyond the turbodiesel are announced. Since I can’t say more yet, let’s just end it with my fervent wish to get back in that driver’s seat real soon.